the new battlestar galactica was great to watch but alwasy leaves you wanting more! is gaes a cylon! and cold storage for d&apos;yanna. 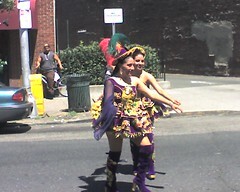 Jersey city parade, originally uploaded by dreadstar_2000. Beautiful day in jersey city. The parade was for the purpose of celebrating bolivian culture. (See all Bloggable Content) Press Area - [BANNED VIDEO REPORT] N.J. Senator Menendez's Office Responds to URNEKST about Habeas Corpus Site Page - About Us Site Page - Channel Guide Site Page - Featured Pages Site Page - s6k homepage Site Page - Services Site Page - The Wedding Site Page - Veterans For Peace Site Page - What's Happening Right Now Timeline Entry - Philidelphia bombs city block to eliminate M.O.V.E.